Americans Abroad: What Do US Expats Look For In A New Country? The estimates that there are approximately nine million US citizens living abroad. Starting a new life as an expat obviously appeals to a lot of people. But why are American people particularly drawn to an expat life? And what are their main reasons for staying abroad? One of the biggest reasons that American citizens settle abroad is love. Seventeen percent of US expats have fallen in love and then stayed in, or relocated to, their partner’s home country. With a global average of just , this tells us that Americans are much more likely to follow their hearts than other migrants. Moving to be with your foreign partner can present a range of challenges such as culture shock, language barriers and isolation. That hasn’t stopped US expats from living a fulfilled life, as 79 percent say they feel at home in their host country. Many American expats are also choosing to start a family abroad, and in 2016 there were to US citizens. When it comes to choosing a country to start a family, Sweden ranks the best place for migrant families based on the quality of childcare and the low cost of raising children. New Zealand and France are also popular destinations for US expats with kids. One in ten US expats leaves their home country in search of a better quality of life. With an average of just two weeks’ vacation each year, you can understand why American people might be drawn to countries such as France or Finland, which offer a minimum of five weeks paid leave per annum. New Zealand and Spain often top lists for expat quality of life. With a simple, relaxed lifestyle at a lower cost than in the US, it's easy to see the appeal of a country like Spain. On the other hand, a huge number of US expats choose to stick slightly closer to home by moving to Canada. Approximately one in nine US expats live in Canada, drawn to the great education and excellent public health care, as well as the convenience of being within reach of family and friends in the US. You can’t deny that business is becoming more and more global in nature. And part of that is the increased movement of workers around the globe. Some 31 percent of expats worldwide made the move for work, with US migrants leading the way, particularly in business, education and research. In fact, a third of US expats report earning a higher income abroad. For those on an equal or lesser salary than back home, the cumulative impact of a lower cost of living and/or a higher quality of life can certainly make the experience worthwhile. The global nomad trend has definitely caught on in the US. The option to live an independent, mobile lifestyle appeals to Americans, with seven percent of US expats working as freelancers; mainly artists, designers or writers. For the entrepreneurs amongst us, the countries of choice for expats wanting to start a business include Japan, Singapore, Hong Kong and Germany. 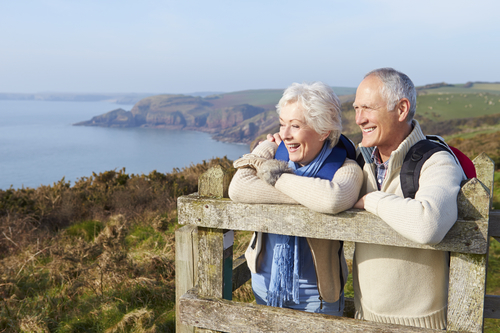 American retirees are looking for a higher quality of life at a lower cost than in the US. In 2017, there were an estimated 653,000 Americans receiving their social security payments abroad. France is one of the most popular expat destinations for retirees, with the majority of expats in France aged 55 or older. Furthermore, three quarters of expat retirees reported that they had an improved quality of life in their new home country. When it comes to cost of living, however, US expats have to make a number of financial considerations when deciding to retire abroad. US tax requirements – specifically the Foreign Account Tax Compliance Act – might raise the cost of living abroad in the long run by increasing the amount of tax expats have to pay on their assets or income. A number of American people choose to study or learn a language abroad. More than 325,000 American students studied abroad in 2016, with Europe being the most popular destination by far. You might think that most American migrants would prefer to find an English-speaking country to call home. However, the average American expat is either in the process of learning a second language or already speaks a language other than English. Latin America and Asia, where English is less widely spoken, are popular destinations for American students. The US is an incredibly diverse country, so it is no surprise that many expats might choose to relocate to the family of their cultural heritage. Whether for retirement, employment or lifestyle, thousands of American people who were born outside of the US, or whose parents were, are choosing to return to their roots. The changing economy, political landscape and job market in the US may be the impetus for relocation for many Americans. Personal, religious and safety reasons can also factor into one’s decision to return to their family’s country of origin. Americans expats can be found in more than 160 countries worldwide. One in three American people living abroad are first-time expats, and 39 percent say it is unlikely they will return to the US. 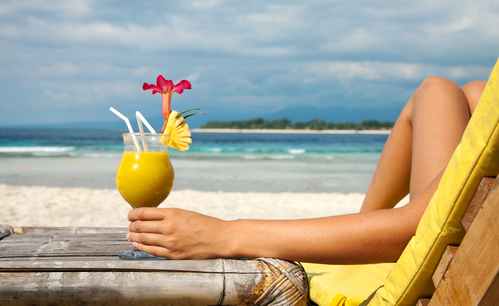 It’s clear that the expat life appeals to US citizens as much as anyone else. Whether for love, career or retirement, the number of Americans starting a new life abroad has increased over the years, and doesn’t appear to be slowing down any time soon. American expats, we’d love to hear your story! Share in the comments below; which country did you end up in and why?